Don't throw that leaky fitting away! Repair it with the Fitting Fixer kit! It's easy to use, carry and also can be used with all sizes of drills and correct size tap handle. 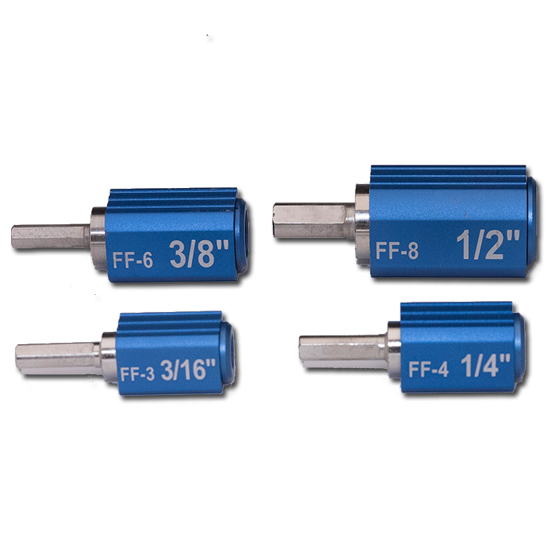 The Fitting Fixer kit utilizes an inverted cone with a diamond-dust coated lapping head to repair the surface and complete the seal with the JIC fitting.